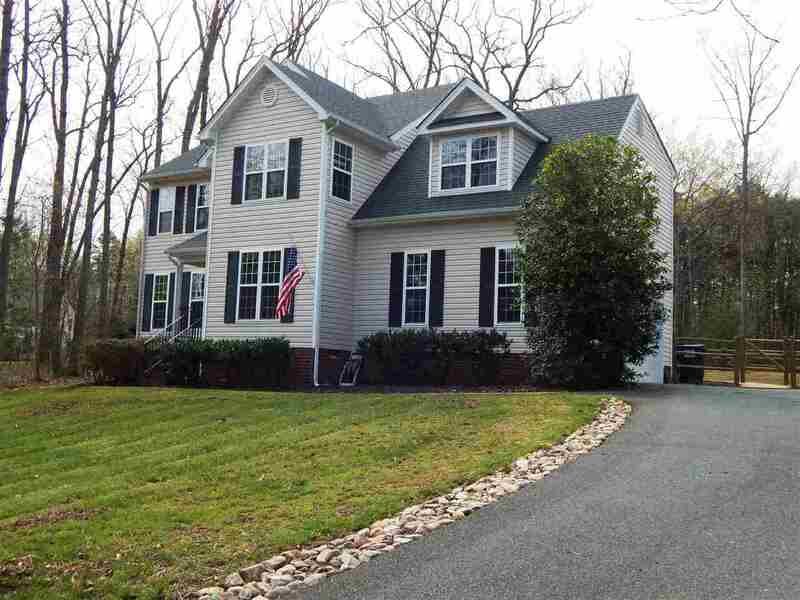 Roy Wheeler Realty Co. MLS# 588952 - 106 Randolph Cir, Troy, VA 22974 - Roy Wheeler Realty Co.
Don’t miss this light filled two story with attached garage! This home has been shown a lot of Love in the past year, fully remodeled top of line kitchen offers Kraftmade cabinets with slow release, spice rack and pull outs topped with quartz counters, includes stainless steel appliances, commercial gas stove all showcased by new lighting. Custom paint and hardwood floors provides warmth, accented by crown molding and chair rail. Flow of this open floor plan offers spacious rooms, abundant storage, 2nd floor laundry, 4th bedroom could be used as a office or exercise room for easy living. Sunroom adds more room for entertaining access to the deck which leads to the recently fenced yard. 20 mins. to town 10mins to Interstate, shopping. Directions: From C’Ville Rt.250 E. left on Rt.627 (Zion Rd. ), left on Rt.600 (Campbell Rd. ), right into Mountain Brook, right on Willow Ridge, right on Randolph, home on right.